Apprehensive Films Blog, The Ultimate Cult, Horror, Indie and Grindhouse Label: Cinema Insomnia Digital Audio Downloads Coming Soon! Cinema Insomnia Digital Audio Downloads Coming Soon! This Halloween you'll be able to download The Cinema Insomnia theme song, the novelty song Don't Haunt The House and the hit single Watching TV. We're setting all the titles up with Itunes, Amazon MP3 etc. Official release date for all the songs is September 28th. The Cinema Insomnia theme will be available in two versions, one with the typical voice over by Mr. Lobo and an extended instrumental version. Don't Haunt The House is a creepy Halloween novelty song featuring Mr. Lobo and The Robot Monsters. Watching TV is the hit single featured on the Cinema Insomnia TV Show. 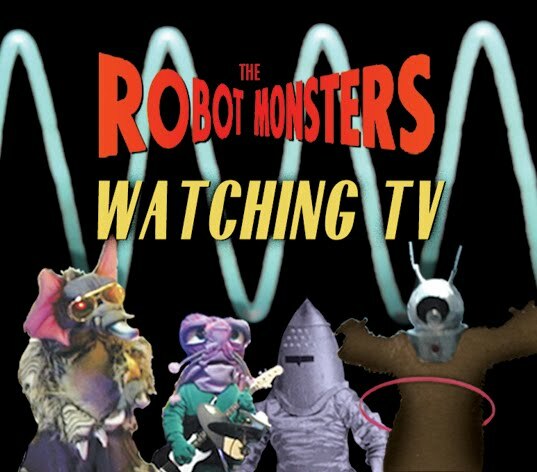 The music video has played thousands of times on Cinema Insomnia and features Mr. Lobo, Ron Dante (from The Archies) and The Robot Monsters. We're also shopping these singles to Verizon and other digital outlets, hopefully they will be available as ringtones and more!